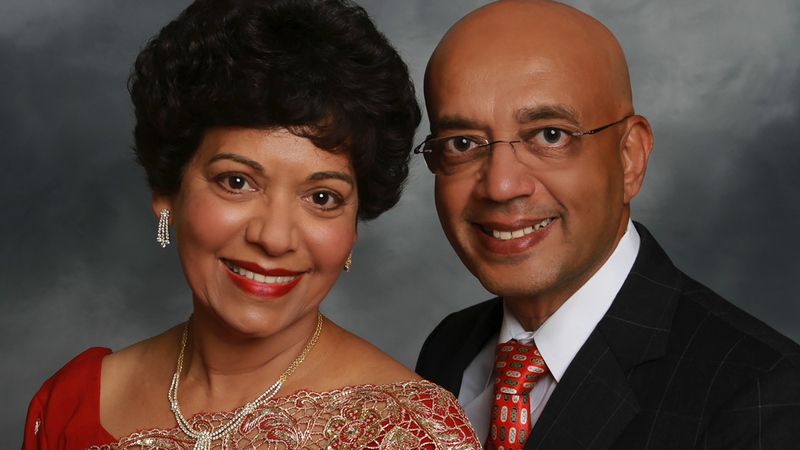 Honorees Vijay and Dr. Marie Goradia. Moderator Melanie Lawson, honorary co-chairs Eddie Allen and Chinhui Juhn, Asia Society president Bonna Kol, honorary co-chair Andrea White, honorees Dr. Marie and Vijay Goradia, honorary co-chair Mayor Bill White, Asia Society vice-chair Y. Ping Sun, honorary co-chair Albert Chao. Purnima Shah, Asha Reddi, Leela Krishnamurthy, Zeenat Mitha, Annu Naik. Monjula and Asia Society board member Ravi Chidambaram. Sylvia and Asia Society vice-chair Gordon Quan. Dr. Ellen Gritz and Asia Society board member Mickey Rosenau. Asia Society board member Nancy Allen and Lynn Wyatt. Lily and Asia Society board member Charles Foster. Bob Murray and Muffet Blake, Asia Society board member Nancy Allen, honorary co-chairs Chinhui Juhn and Eddie Allen. Honorary co-chair Albert Chao, Sylvia Quan. Lynn Wyatt (seated), Asia Society president Bonna Kol, honorary co-chair Andrea White, Asia Society vice-chair Y. Ping Sun, Michelle Herrera. Honorary co-chairs Andrea and (former Mayor) Bill White. Honorary co-chair Andrea White, Asia Society board member Nancy Allen, honoree Dr. Marie Goradia, Asia Society vice-chair Y. Ping Sun. Honorary co-chairs Eddie Allen & Chinhui Juhn. Asia Society board chair and honorary co-chair Eddie Allen. Honoree Dr. Marie Goradia onstage during program. Honoree Vijay Goradia during program. Moderator Melanie Lawson, honorees Dr. Marie and Vijay Goradia during program. Honorees Dr. Marie and Vijay Goradia, with the Huffington Award. Moderator Melanie Lawson, honorees Dr. Marie and Vijay Goradia, Lynn Wyatt. Moderator Melanie Lawson, Lynn Wyatt. Asia Society president Bonna Kol, moderator Melanie Lawson. Honorees Dr. Marie and Vijay Goradia, with their children Sapphira and Kevin. HOUSTON, October 26, 2018 — Asia Society Texas Center presented its annual Roy M. Huffington Award to Dr. Marie and Mr. Vijay Goradia at The Houstonian on October 23. Drs. Chinhui Juhn and Edward R. Allen, Dr. Anne Chao and Mr. Albert Chao, and Mrs. Andrea White and Mr. Bill White (former Mayor of Houston), served as honorary co-chairs for the event. This was the first Huffington Award to be presented in a dinner format since Asia Society opened its new Museum District headquarters in 2012. In recent years, the program has been a luncheon with a predominantly business-centric focus, whereas the dinner setting heightened the event’s gravitas and ambiance. The 400 guests enjoyed musical accompaniment during dinner by Divisi Strings, floral arrangements by Lanson B. Jones & Co., and an elegant dinner including arugula salad with dried cherries and crumbled feta, BBQ-glazed wild salmon, and delectable chocolate desserts. In addition to the honorary co-chairs, luminaries who attended to add their support to the Goradias’ award included Nancy Allen, Y. Ping Sun, Monjula and Ravi Chidambaram, Sylvia and Gordon Quan, Shaista and Shahzad Bashir, Lynn Wyatt, Sushila and Durga Agrawal, Muffet Blake and Bob Murray, Lily and Charles Foster, Dr. Ellen Gritz and Mickey Rosenau, Nancy Pollok Guinee, Akeni Saitoh, Nathalie and Charles Roff, John Cogan, Paul Murphy, Shazma and Arshad Matin. The Huffington Award recognizes leaders who have been a major force on the international stage. Named for the Houston oilman and former ambassador who played a leading role in creating Asia Society Texas Center, the Roy M. Huffington Award is the highest honor bestowed by the Texas Center. Prominent former recipients include President George H.W. Bush; former Prime Minister of Australia, the Honorable Kevin Rudd; former U.S. Secretary of the Treasury and U.S. Secretary of State James A. Baker III; former Governor of Utah and U.S. Ambassador to the People’s Republic of China Jon Huntsman Jr.; former ExxonMobil CEO and U.S. Secretary of State Rex Tillerson; and President of Rice University David Leebron.